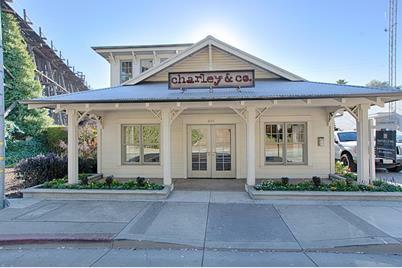 Custom Built in 2015, this charming commercial building may fit the needs of many businesses with its one of a kind location, excellent foot traffic & an inviting entrance with views of the iconic train trestle. Large front window display space, high ceilings, custom lighting, beautiful flooring, custom finished open beamed ceilings, a gas fireplace & radiant heated floors, all add to the ambiance. Upstairs is a light & bright work space to really focus on the task at hand. The inviting front porch is a special space to utilize as well. Walking by from the public parking lot, this inviting building starts the journey to discover Capitola. The Perfect 1031 exchange property; low maintenance & no rent control. This type of property in Capitola does not come up often. Come and see it today to secure your Capitola location. Yard Description: 192 Sq. Ft.
401 Capitola Ave, Capitola, CA 95010 (MLS# 81683573) is a Commercial property that was sold at $875,000 on March 27, 2019. Want to learn more about 401 Capitola Ave? Do you have questions about finding other Commercial real estate for sale in Capitola? You can browse all Capitola real estate or contact a Coldwell Banker agent to request more information.